How Many Apps Do You Subscribe? I don’t want to open new topic just because of this question so I am posting here. Question: what does the icon below do? 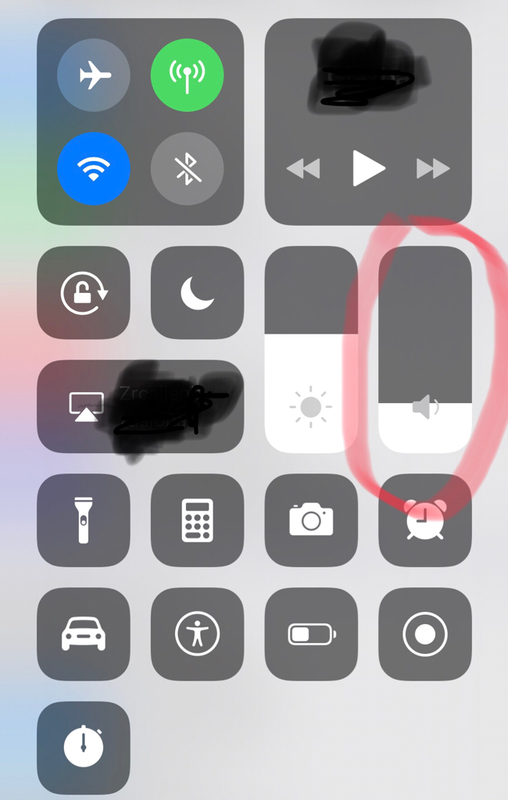 As I can see it does not volume ringtone neither system volume. It’s the media playback volume. Ledsteplin and libra89 like this. Like Nikki said, it's media volume. Ringtone is still on the side of the device. I noticed when I have incoming call that I had option “reject with message” and now I don’t have it. I have just option “remind me”. Can someone tell me how can I turn it on? "The first thing you might want to check is Settings -> Touch ID & Passcode - > Reply with Message. Enable it to access the decline option even when the iPhone is locked." There are three default messages. Tap on the one that you don't want to use, and type in what you do want to use. Was this post for me, or someone else? I should have quoted the post. My bad! If the app producer updates regularly with useful new content, I would be happy to consider a subscription. If the app sits dormant for more than a year at a time without useful updates, I do not want a subscription. That might depend on what you get with the subscription. If it's useful enough to subscribe now, would it not still be useful a year from now, without an update? It only makes sense if it's no longer useful or outdated. There's a lot of "depends on..." there. And that won't change any time soon. Many of them are about as useful as a screen door in a submarine if you’re in the middle of nowhere without internet access. I don’t see the point really,they are almost certainly selling what data about you that they can. Carrot Weather is a must! I subscribe to quite a few...  music, Pandora, Amazon Prime music, iCloud storage, Netflix, Dropbox, & Amazon Prime. In regards to my 3 music streaming subs, I will be analyzing what will work best for me and stop 2 of the subs. I guess I didn't word my original question good enough. I meant to exclude streaming services, and other media apps. I understand those offering subscriptions. It's other apps that subscriptions don't make sense. Like Facetune 2 for example. I've been using Facetune for years. So now, instead of updating with new features, they have a new Facetune 2 that requires a subscription. I paid for the "legacy". Another is JibJab. To get all the cool stuff, it requires $2.99 a month subscription. If I subscribed to every app that wants me to, I'd go broke. I just wish Apple had not opened that flood gate. Ok I understand what you’re asking. I may have misread and misunderstood as well. Other than what I’ve mentioned in my original post, there are no monthly app subscriptions that I pay for. It just seems wrong for a photo editing app to ask for a subscription. I'll pay for a paid version or a one time pay for an in app purchase, but not a monthly fee. Yes I agree. There’s a lot of apps that I’ve been interested that are “free” but then upon opening them to look further, there’s suddenly a monthly fee to access the full options...like ie., some weather apps, I can’t think of any off the top of my head but I won’t pay a monthly subscription for the same thing I can get from a (completely) free weather app. Just as I was replying to this, I read on Flipboard about an email app, Newton Mail, that’s back and there’s a $50 yrly subscription...I wouldn’t pay that either. But that’s just me. I used to have that app when it was called CloudMagic. Or something like that. Hard to believe anyone would pay $50 a year for an email app on iOS. The MyRadar weather app now charges an annual subscription for a few extra features, like hurricane tracking. I like the app, but won't pay a subscription. I used to have that app when it was called CloudMagic. Or something like that. Hard to believe anyone would pay $50 a year for an email app on iOS. Yes I agree that’s crazy! The MyRadar weather app now charges an annual subscription for a few extra features, like hurricane tracking. I like the app, but won't pay a subscription. Same, I refuse to pay for a weather subscription as well.